Here’s an article today in the L.A Times about the frenzy created by “Black Friday” the day last week when admissions emails were received by parents. Don’t miss a thing! Like Beyond The Brochure on Facebook! Some schools definitely use a wait-list notification as a polite way to say “no” to an applicant. It’s hard to know which schools do this, but all kinds of rumors abound on this topic. Since you’ll never really know, the best approach if you’re interested in a school that has wait-listed your child is to consider a few factors. First, there are some schools that are very popular, very small and/or have their own preschool and therefore have a very high acceptance rate. In this situation, the school may or may not accept anyone off the wait-list. And, siblings and legacies at certain schools fill up spaces, making it impossible for the school to accept wait-listed kids. These schools aren’t the majority. I can think of 5 or so off the top of my head (including secondary schools). Most private schools in L.A. do accept kids from their wait-lists every year. Just talk to parents at schools and you’ll find this to be true. I’ve gotten wait-list letters so I know what it is like. Not the news you want! Most likely, it’s been a long few months. Goodness knows you really want the private elementary school application process to end. But, if your child is wait-listed at a school you really like, you’ll need to continue with the process. Call or email the admissions director immediately. Tell him or her you’re still very hopeful a spot will open up. Remind him/her how much you love the school. Let the admissions director know the school is your top choice and you’ll enroll your child if they offer you a spot. You are ready to write the deposit check! Have your friends or parents you know at the school contact the admissions director and reiterate the same message: you’ll enroll your child if offered a spot. Don’t be alarmed if you don’t hear from the admissions director. There’s a lot going on behind the scenes at the school and they are waiting to know how many parents (if any) will decline their offer and therefore create spaces for wait-listed families. Don’t keep calling or emailing the school! You don’t want to appear panicked or over-involved, even if that’s how you feel. Be very patient. Families are admitted from wait-lists right away and in the summer months. Schools DO offer wait-listed families admissions! We know lots of families at many top schools who were initially wait-listed. If the admissions director tells you to accept a spot elsewhere, take that as a hint that your child probably won’t get in. If you have a “back-up” school, don’t give up that option just because your child is wait-listed at another school. A lot of parents will put a deposit on their 2nd choice school, but continue to keep in contact with their 1st choice school where they were wait-listed. Keep your cool and don’t have an attitude or seem resentful. Being wait-listed is part of the process and it can end up working out for your child. Patience and persistence can pay off…we’ve seen it many times. This is the BIG WEEK. Finally after months of waiting, schools will notify parents about elementary school admissions decisions on Friday, March 18. If you applied for secondary school, or if you applied to Pasadena schools, you most likely found out yesterday. Friday is the BIG DAY for L.A., you been waiting for since you first started the admissions process in September. The Los Angeles Times called it “Black Friday” because it sets off so much panic among parents. I’ve been there. I know what its like to open the schools’ emails or to log on to Ravenna. 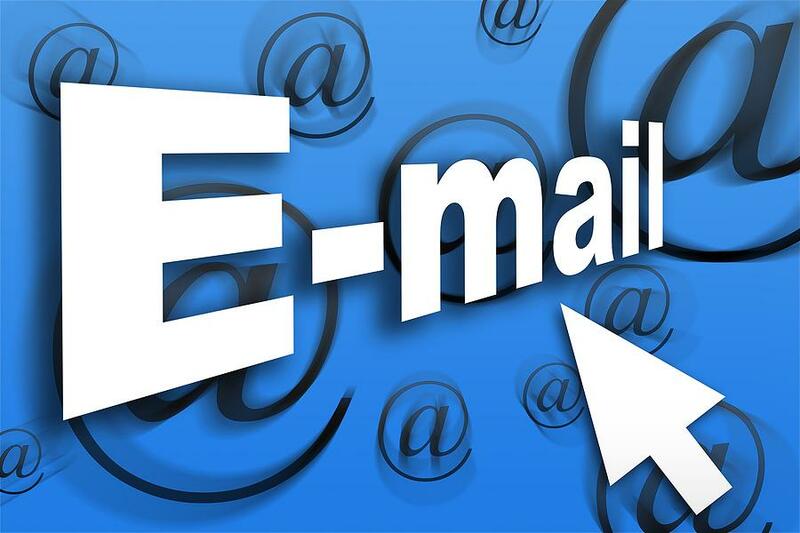 I’ve felt the exhilaration of the acceptance letters and the letdown and distress of a wait-list letter (in our case, it was an email that was most likely a polite “no”). I found out that doors shut, making room for other doors to open. I learned the harsh reality that people lie during this process. Friends don’t come through for you the way you’d hoped. School administrators think they can tell you where your kid should go to school, despite your objections. After going through kindergarten admissions and middle school admissions processes, I’ve experienced some bumps and bruises along the way. With my two kids now at Viewpoint School and previously at The Willows School, I’ve lived the ups and downs of L.A. admissions. If you received the news you wanted, congratulations! If you don’t get the decisions you hoped for, you may need to pivot and quickly develop another plan to pursue. You’ll need to set aside your ego, your pride and maybe even a few friendships–I certainly did. Focus on your kid and what’s best for him or her. Contact the schools where your child was wait-listed to see if they might have a spot, making sure you tell them you’ll accept it if offered. If you got an acceptance from your second or third choice school, don’t let it slip away: put down the deposit, then see what happens with your first choice school if your kid was wait-listed there. I fully acknowledge all of this seems crazy-complicated. What I’ve learned, however, is that somehow it all works out. Everyone finds a school that works for their kid, even if it isn’t the one they expected. You’d be surprised how this happens every year. If you find yourself without a school, keep an open mind, expand your options if needed, reconsider schools you may have initially thought might not work, contact an educational consultant, look for “hidden gem” schools, forget about the “popular” schools because this isn’t a popularity contest, inquire about whether a school will accept a late application–some do. There are options, you just have to find them. Like Beyond The Brochure on Facebook for all the latest blog posts, private school news and events! There is absolutely no way any of us mere mortals would be able to compete with Beyonce and Jay Z for a spot at The Center For Early Education. No way. 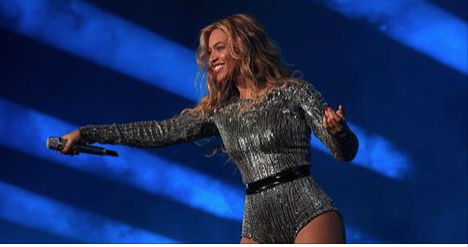 The school held its annual gala fundraiser where Beyonce performed, paying tribute to Reveta Bowers, the legendary head of school, who is retiring this year. It’s so glamorous you just have to let yourself be swept up in the fabulousness of it all. This stuff is beyond jealousy or envy or even the fanciest private school auctions. It just is. Here’s the article in The Los Angeles Times and The Huffington Post. 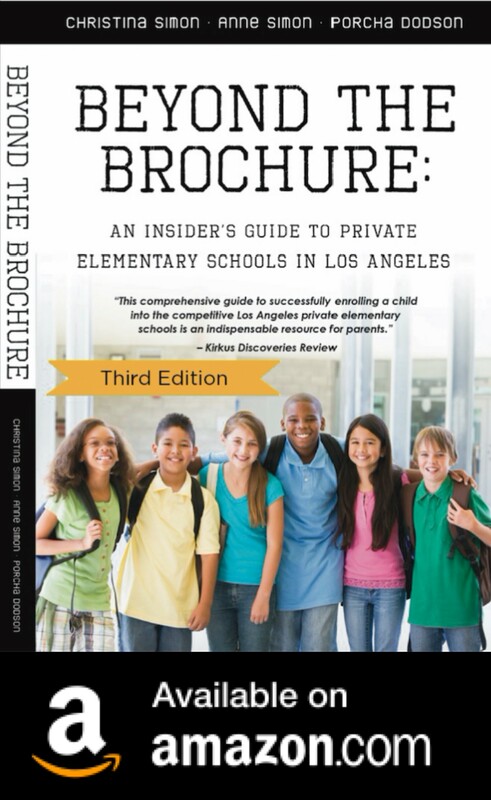 Like Beyond The Brochure on Facebook for all the latest L.A. private school information!